"Based on results from our previous work, we are now conducting a randomized controlled membranous nephropathy trial of Rituximab, which is being coordinated through the AHRC, and which I think will be a significant contribution to the care of patients with this glomerular disease." 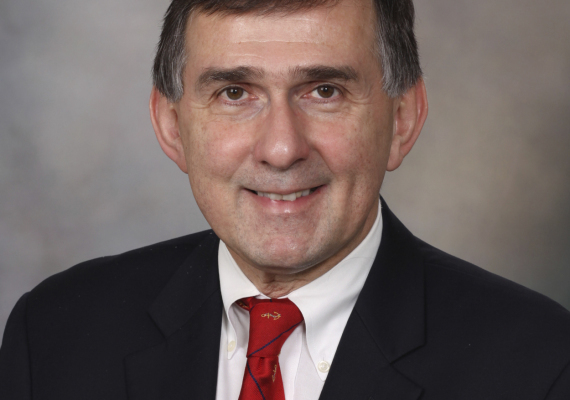 Dr. Fervenza is the director of the Nephrology Collaborative group and a Professor of Medicine at the Mayo Clinic. He is a Principal Investigator for the MENTOR study (Membranous Nephropathy Trial Of Rituximab), a multi-center randomized controlled Phase III trial, coordinated through the Applied Health Research Centre (part of the HUB Health Research Solutions), that tests whether B cell targeting with Rituximab prolongs the time to relapse, reduces the overall number of relapses, and leads to an improved quality of life when compared with treatment with Cyclosporine in patients with idiopathic membranous nephropathy. The following interview has been edited for clarity and brevity by Sarah Grant Alvarado. My area of research is glomerular disease. This includes research on the causes of nephrotic syndrome, systemic diseases that affect the kidney like vasculitis or lupus as well as other primary auto immune disease of the kidneys such as membranous nephropathy. I was born and raised in Brazil and went to medical school there, then did my initial clinical and research training in England at Oxford University. I came into contact with a lot of auto immune disease specialists, especially in the areas of vasculitis, Goodpasture disease and lupus, and I found it interesting the way each patient was different, requiring a lot of thought and individualized care. When I came to Mayo there was no one doing research in the area of glomerular disease so they asked me to develop this area. By sheer luck that proved to be a good move because the major developments in nephrology in the last ten years have occurred in glomerular disease. It became a research area of great excitement with the discovery of autoantibodies in membranous nephropathy and new therapies in vasculitis. Coming to the Mayo Clinic. Patients come here from all over the world and working here gave me access to a unique patient population as well as the resources to do my research. Because the nephrology division is large at Mayo, it allows people to sub-specialize and develop expertise in particular areas. We have doctors, for example, who are the world authorities in polycystic kidneys in part because they can concentrate their work around this topic. Another example is the group involved in transplantation. Many other institutions don’t have large enough Divisions to allow the sub-specialization practice or don’t have the patient population to support this type of clinical research. For me, it was the perfect match. What study do you think has caused the greatest impact in your career? The first time that Rituximab was used to treat ANCA-Associated Vasculitis in the world was at Mayo Clinic. This initial case report, led to a series of studies culminating with the RAVE Trial that provided indications for Rituximab to be FDA approved for the treatment of ANCA-Associated Vasculitis. This led to exploring the use of rituximab in other autoimmune mediated diseases like Membranous Nephropathy. Based on results from our previous work, we are now conducting a randomized controlled membranous nephropathy trial of Rituximab, which is being coordinated through the AHRC, and which I think will be a significant contribution to the care of patients with this glomerular disease. While I do think it’s good to publish manuscripts, it’s not enough. It has to have significance at the bedside. I think successful research is when you’re also advancing healthcare by impacting patient care and giving something back to the patients. Until recently we had few available treatment options for patients with glomerular diseases. With all the new advancements in drug development, we can treat diseases that we couldn’t before. I think that is a success.